Please fill out our New Customer Worksheet. We definitely appreciate your business. 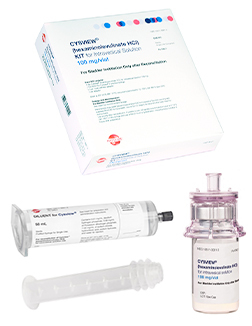 To order more Cysview, please email or call toll-free using the information below. Minimum Order Quantity is 9 kits, unless lower quantity is approved by Photocure Operations Director. Payment terms are 30 days, unless exception is approved by Photocure Finance Director. No returned goods accepted, nor credit memo issued, except for product shipped in error, product damaged in transit or a product recall. Products shipped in error by Photocure, Inc. or products damaged in transit must be reported to Photocure, Inc. within ten (10) working days of receipt and must be returned to Photocure, Inc. within 25 days of receipt. Contact Photocure, Inc. customer service at 855-297-8439 phone or 414-434-6952 fax. Shipping FOB destination by ground standard delivery with prepaid freight passed through to customer. All orders received by 2 pm CST will ship next business day. Customer agrees to pay expediting fee and overnight shipping fee if those services are requested. Late payment interest 1% per month. Credit card payment accepted by contacting Photocure Finance Director at 609-759-6512. For any additional needs, please contact your Cysview Surgical Sales Executive.